Ardbeg på ved med en ny aftapning med navnet An Oa hvor der blandt andet er brugt PX sherry fade og first fill bourbon. 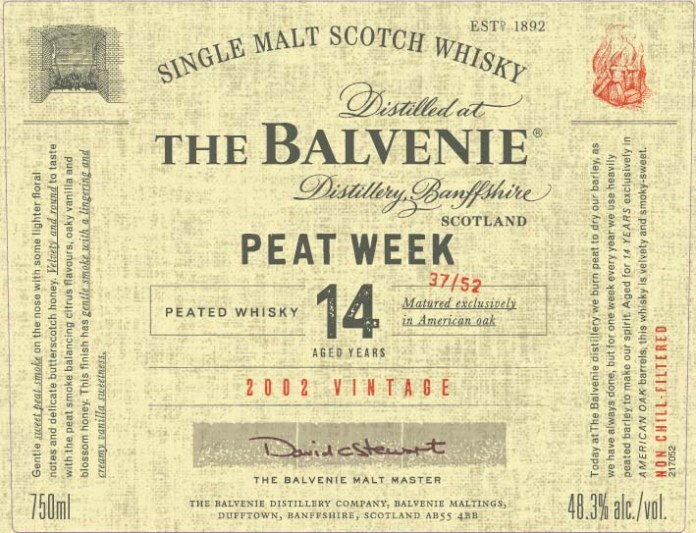 Ny Balvenie på vej, en 14års røget aftapning som navnet antyder, Peat Week. Aftappet ved 48,3% og er non-chill filtered. Nose - Initially raisins, marzipan, Demerara sugar followed by treacle, sticky toffee and wood shavings. Taste - Homemade strawberry jam, sugary and filled with cream, orange zest, brandy snaps and a white chocolate creme brûlée. Finish - Chocolate orange, crazy coffee liqueur, buttered popcorn, cocoa beans and mocha coffee with a delicate finish of sweet orange marmalade. 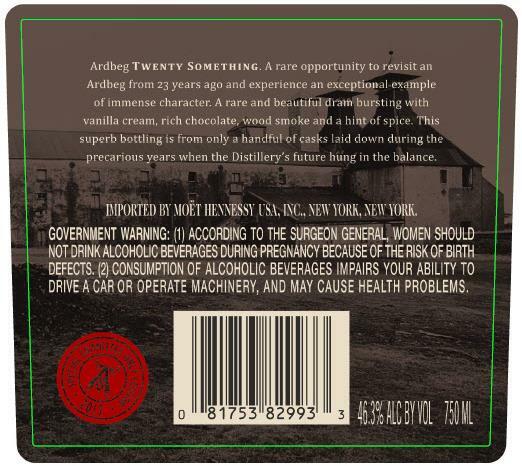 There will be approximately 12,000 bottles available worldwide and they will retail at around £55.00. Nose - Very sweet; pear drops and light marshmallows. Roasted pine nuts and creme brûlée followed by a very buttery cheesecake base with a soft liquorice note. Taste - The sweetness continues on the palate; with hard boiled toffee sweets, caramelised sugar, sticky toffee pudding, nougat and fresh cream with hints of charred embers. Finish - Lovely and rich: dark chocolate followed by coffee beans, liquorish, viennese whirls. This is rounded off with the signature Longrow notes of coastal sea salt flavours and a gentle smokiness. 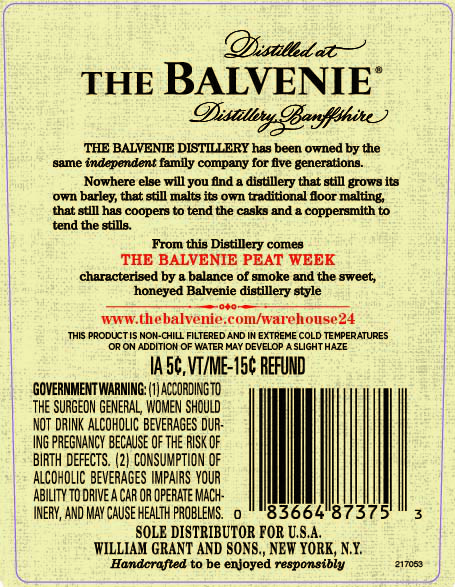 Matured in 60% refill sherry casks, 40% bourbon casks. There will be approximately 4,500 bottles available worldwide and they will retail at around £89.00. 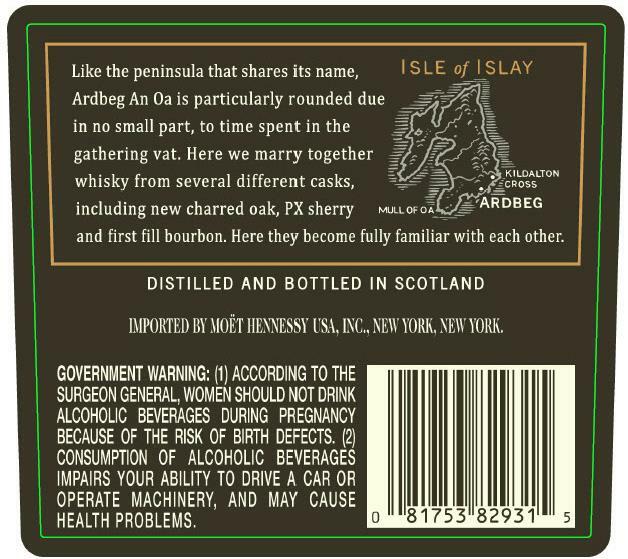 Ny Ardbeg på vej i følge det amerikanske Alcohol and Tobacco Tax and Trade Bureau (TTB). The latest 12yo cask strength follows the normal maturation recipe of 70% sherry and 30% bourbon and will be bottled at 56.3% ABV. The 5th annual release of Springbank 25yo will be available worldwide in limited quantities. 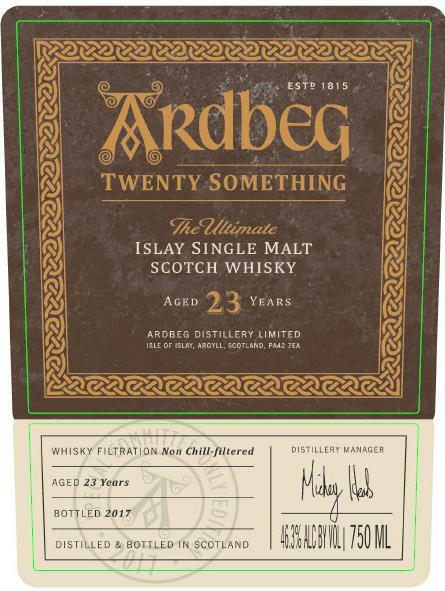 This version departs from recent editions of the 25yo where maturation combined bourbon and sherry casks into a final port pipe vatting, whereas this edition has been matured exclusively in refill sherry casks, characterising the whisky with the soft rich fruits associated with classic Springbanks. This Longrow Red Cabernet Franc from De Toren Private Cellar in Stellenbosch, South Africa is the follow up from the previous Malbec release from the same winery. It will be bottled at cask strength having spent an initial nine years in bourbon barrels before a final two in Cabernet Franc barriques. We are delighted to announce the imminent release of two new Springbank bottlings and the next chapter in our Longrow Red series. These products are available to purchase in the UK from tomorrow (8th February). The email you are reading now will replace the ‘Available Now’ Newsflash normally sent out on the launch day as a number of members have requested that we let you all know sooner. As such, notifications on the launch day itself will only be made on social media. We do urge members not to publish the details below on social media before we announce it ourselves through our own social media channels. This will hopefully let you all get first bite of the cherry although we would highlight that we do not control how shops sell their stock, if they take pre-orders etc. Even the Cadenhead shops are out-with our control so if you have any enquires or comments about what stock individual shops have please contact them directly. Taste: A beautiful balance between vanilla and black pepper sitting alongside dark chocolate, cinnamon and liquorice with a delightfully delicate touch of smoke. 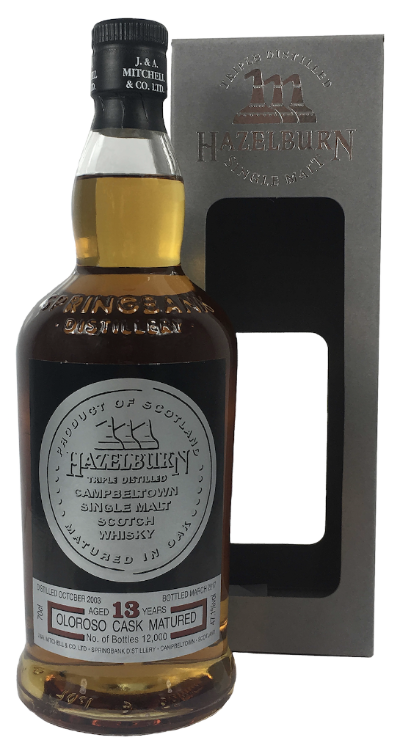 Finish: The classic Springbank style emerges; dunnage warehouse notes and salty maritime flavours, accompanying cream crackers along with caramelised sugar. 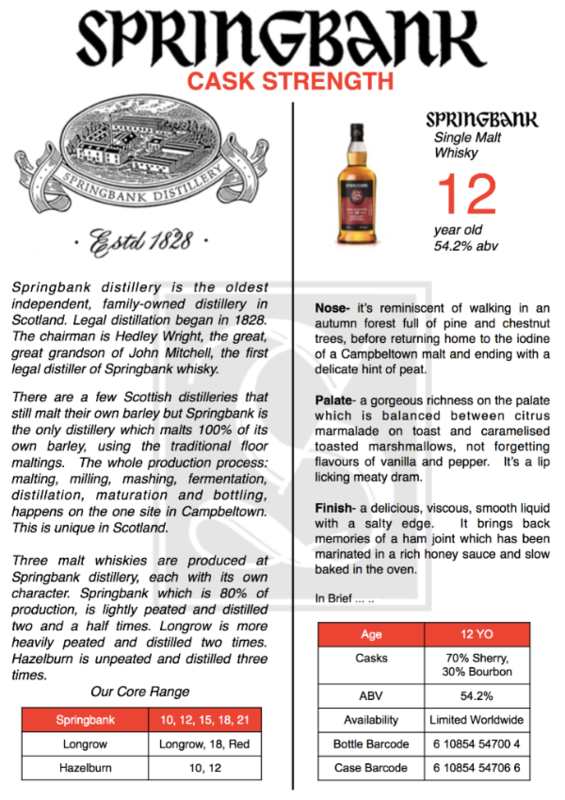 The Campbeltown Cadenhead shop will be selling the Springbank 12yo CS for £49.50. This is considered a core product so the Society discount can apply on this bottling (at the discretion of each individual Cadenhead shop). The 5th annual release of Springbank 25yo will be available worldwide in limited quantities. This version departs from recent editions of the 25yo where maturation combined bourbon and sherry casks into a final port pipe vatting, whereas this edition has been matured exclusively in refill sherry casks. The Campbeltown Cadenhead shop will be selling the Springbank 25yo for £350.00. This is not considered a core product so the Society discount does not apply. This Longrow Red Cabernet Franc from De Toren Private Cellar in Stellenbosch, South Africa is the follow up from the previous Malbec release from the same winery. It has been bottled at cask strength having spent an initial nine years in bourbon barrels before a final two in Cabernet Franc barriques. Nose: Initially there’s peat, peat and more peat. After leaving this to aerate red wine notes appear, as well as the sweetness of marzipan, toffee, raspberry Jam and Eton mess. 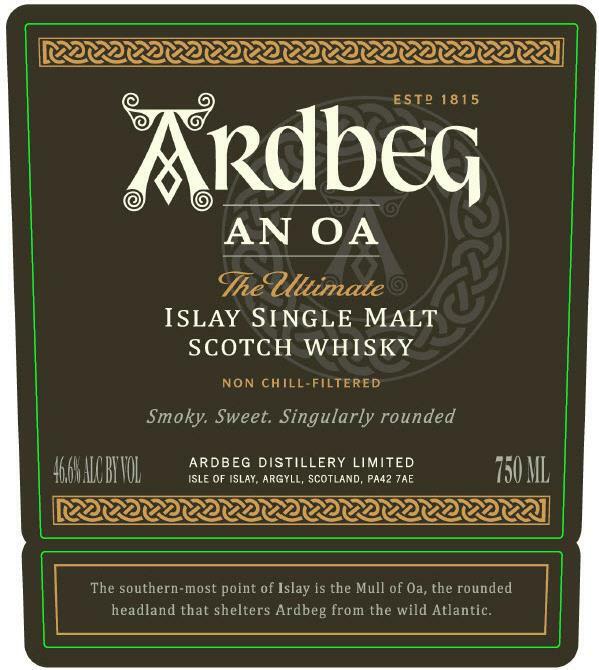 Taste: The peat remains as does the sweet taste of caramelised sugar and toffee apples. This is balanced by the contrasting fruity flavours of stewed rhubarb and crisp, juicy red apples from the red wine casks. There is also a rich buttery biscuit flavour on the palate. Finish: To finish, there are lovely long sooty smoky burnt embers. This is accompanied by some dry oak vanilla tannins and phenolic antiseptic notes return to say adieu. 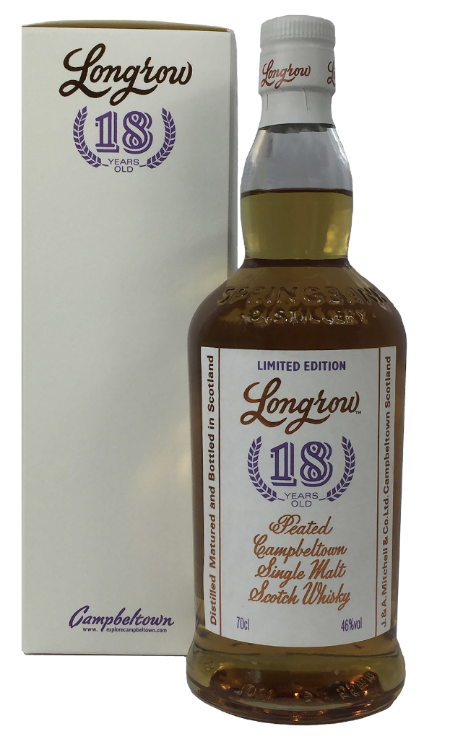 The Campbeltown Cadenhead shop will be selling the Longrow Red 11yo for £55.00. Valkyrie var den af de tre aftapninger i serien Viking Legend releases, hvor flaskerne er designed af Jim Lyngvild. Den næste som nu er på vej hedder Valknut og den sidste der hedder Valhalla kommer i 2019. Symbolet for Valknut er tre trekanter der sidder låst inde i hinanden. Så er vi klar med den anden - og tredje aftapning i 2018. Vi har tappet vores seneste Young Rye - February 2018 i to udgaver. De er fra samme batch, men er tappet ved forskellige alkoholstyrker. En i slagkraftig fadstyrke på 60.3% (Cask Strength) og den anden ved en blødere og rundere alkoholstyrke på 43.3%. Det er nu godt en måned siden vi frigav sidst. Vi benyttede kø-system fra Queue-it og det gik rigtig godt og vi er blevet lidt klogere på hvordan vi sikrer jer den bedst mulige oplevelse i forbindelse med salg på shoppen. Læs mere om kø-systemet længere nede i nyhedsbrevet. Normalt begrænser vi køb til en flaske pr. ordre, men fordi vi frigiver to flasker samtidig har vi valgt at tillade køb af en af hver flaske så længe lager haves - naturligvis. Stauning Young Rye er et af vores core-produkter. Det er vores bud på en dansk highend Rye-whisky. Som med alle vores produkter er vores Rye fremstillet 100% på destilleriet med vores egen gulvmaltede lokale rug og byg, lokalt vand og dobbelt potstill-destilleret over direkte ild. Whiskyen er lagret godt 4 år på Amerikanske Virgin Casks (ASB). Det giver noter af vanilje, ristet toast, karamel, egetræ og lakrids. - Antal flasker tappet: 2541 stk. - Antal flasker tappet: 252 stk. AB Inbev har købt Atom Group som bl.a ejer Master of Malt og That Boutique-Y Whisky Company. AB Inbev har bland andet Budweiser, Corona og Stella Artois, Hoegaarden og Leffe i sit sortiment. Justin Petszaft, group managing director for Atom Group siger: ‘This deal is an amazing moment for our business, which has gone from working out of a shed in Kent, to one of the UK’s fastest-growing companies. 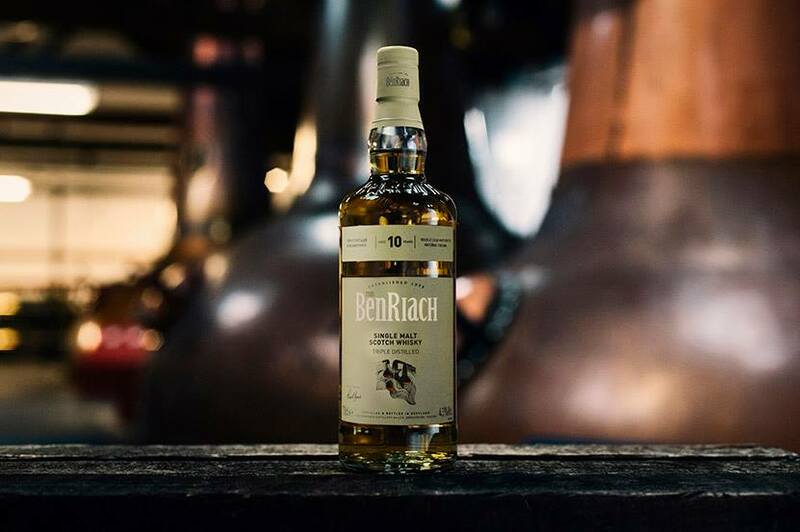 BenRiach kommer nu med en triple distilled expression, der har ligget 10 år på fade inden den er aftappet. Den er tilgængelig hos udvalgte global travel retailers. Last edit: 11 months 1 week ago by MacNiels. I’m sad to share with you the news that ‘Asyla’, the second whisky I created when I started the company, originally released in 2001, is going out of stock for the foreseeable future. Over the past few years, demand exceeded what we expected for this delicate whisky, and as a result we have run out of the appropriate age range of the key single malts for the recipe. We’ve experimented with other malt whiskies, but nothing has given us the specific character we’re looking for. So, we have decided to stop making Asyla rather than compromise its integrity. We have stocks of these single malts aging in our inventory, and we’ll let you know if and when we’re able to bring back Asyla, perhaps as a limited edition in the future. If you have a bottle or come across one, please do savour it in good company. Highland Park er stolte af at kunne lancere specialwhiskyen Highland Park VALKNUT Special Edition, der er den anden af de tre whiskyer i serien ’Viking Legends’. Igen er Highland Park gået sammen med den danske designer Jim Lyngvild om whiskyens design og indpakning. Whiskyserien er inspireret af vikingernes historie og mytologi. Det gælder både smag og design. ”VALKNUT er en intenst afbalanceret whisky med en alkoholprocent på 46,8. Den er modnet overvejende i amerikanske sherry-krydrede egetræsfade med et lidt højere fenolniveau end VALKYRIE-whiskyen. Vi har også brugt en lille smule Tartan-byg, som er dyrket på Orkneyøerne, og det fremhæver whiskyens røgede kant og langvarige sødt krydret finish,” siger han. Legenden siger, at de hæderligste vikinger blev markeret med Valknut-symbolet, når de faldt i kamp. Efter blodige kampe finkæmmede Odins hævnende engle, de såkaldte valkyrier, slagmarkerne for at bringe de modigste krigere til Valhalla. Hvis en viking var markeret med Valknut, blev han en del af Valfather, Odins hær, der gjorde sig klar til Ragnarok. På Gotland i Sverige er legenden foreviget på den første af de fire berømte Store Hammer-sten og på billedstenen Tängelgårda. Det er herfra, Jim Lyngvild har hentet inspiration til frisen på flaskens etikette og indpakning. ”Det er en dragende historie, der knytter sig til Valknut, og jeg ville sikre mig, at designet matchede den whisky, Highland Parks Master Whisky Maker, Gordon Motion, har skabt,” siger Jim Lyngvild. ”Det var vigtigt for mig, at der var kontinuitet i designet, da VALKNUT er en del af en serie på tre whiskyer. For eksempel er udtrykket gennemgående i frisedesignet i toppen, mens jeg har brugt Valknut-symbolet i front på indpakningen,” siger Jim Lyngvild. Highland Park har en særlig tilknytning til vikingerne. Orkneyøerne, hvor destilleriet ligger, var engang en del af Danmark og Norge. I det 8. og 9. århundrede huserede de nordiske vikinger på øerne og formede dermed Orkneyøernes unikke historie. Magnus Eunson, der grundlagde Highland Park i 1798, nedstammer i lige linje fra disse første vikinger på Orkneyøerne. I dag kan hver tredje indbygger på Orkneyøerne faktisk spore sit DNA tilbage til vikingerne, hvorfor øboerne stadig føler sig forbundene med Skandinavien og er stolte af deres vikingearv. Dette tætte bånd mellem Orkneyøerne og Norden er inspirationen bag Highland Parks ’Viking Legends’-serie. Highland Park VALKNUT Special Edition er anden whisky i en serie af i alt tre ’Viking Legends’-whiskyer. 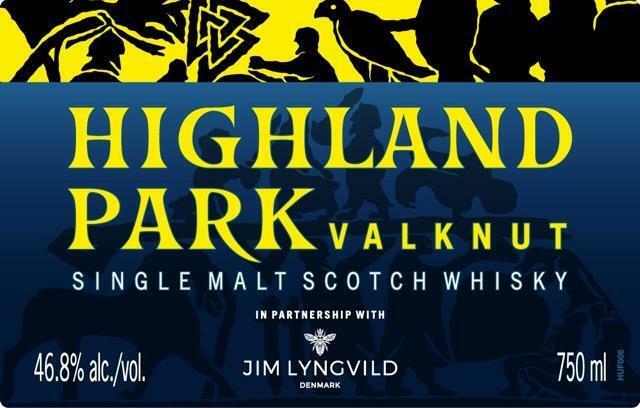 Den kommer efter Highland Park VALKYRIE Special Edition, der blev lanceret i april 2018, og efterfølges af Highland Park VALFATHER Special Edition, som lanceres i 2019. Finish: Intenst afbalanceret, fed og modig, efterlader et langvarigt smagsminde af aromatisk tørvrøg og søde krydderier. Highland Park VALKNUT Special Edition lanceres hos udvalgte forhandlere landet over 21. september. Pris, 70 cl: DKK 649.